So you have decided to use recessed lighting in your home in Columbus, Ohio. True enough, recessed lighting is known for its sophistication that can improve your house’s appearance and aesthetics, adding more style and value to it. Aside from improving the look of both your home’s exteriors and interiors, recessed lighting has become more economical and energy-efficient. This type of lighting may also come with a dimmer. A dimmer allows you to easily control the amount of light you want in a certain space. This enables you to save up on electricity bills. Recessed lighting also comes in various sizes, shapes, and colors, creating more room for your creativity to flourish. You can feel free to choose the type of fixture that will complement any space best. If you want to have recessed lighting installed in your home, it is recommended to make sure the placement of each fixture is well-planned. Of course, there are guidelines to consider to ensure proper and safe placement and installation. 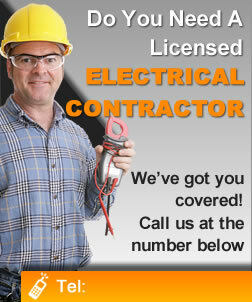 Consulting a professional Columbus, Ohio electrician to help you with installation is highly recommended. Complex installation might be needed which requires the skill of a trained and experienced worker. With proper planning and with the help of experts, you can ensure that each fixture will go exactly to where you want them placed, and the look you have envisioned for a specific space will be achieved. Remember, do not hesitate to consult and ask help from both your remodeling contractor and electrical service provider if you have any major or minor concerns with regards to a recessed lighting installation, repair, or replacement. Whether you are building a new house or remodeling your current space, choosing to add recessed lighting to your plan will for sure update and refresh the look and feel of your abode.